Horseshoe Council Bluff is a stand alone Casino. Players stay at partner hotels, Harrah’s or Hilton Garden Inn. This stand alone casino is home of the best odds, highest limits and biggest jackpots with more than 1,600 slots. When you step up to any of the more than 1,600 hot slot machines at Horseshoe Council Bluffs, you’re not just going toe to toe against Lady Luck – you’re stepping up to take a shot at the biggest jackpots just East of Omaha. No matter what denomination you prefer to play, and whether your casino gambling tastes lean towards video poker, the classic spinning reels, high-tech video reel games or life-changing progressives, you’ll find exactly what you’re looking for when you play the slots here. The highest table limits and the best odds make the table games at Horseshoe Casino the must-play place for serious gamblers. All your favorites are here, including classics like blackjack and baccarat as well as new favorites such as Pai Gow Poker and Three Card Poker. 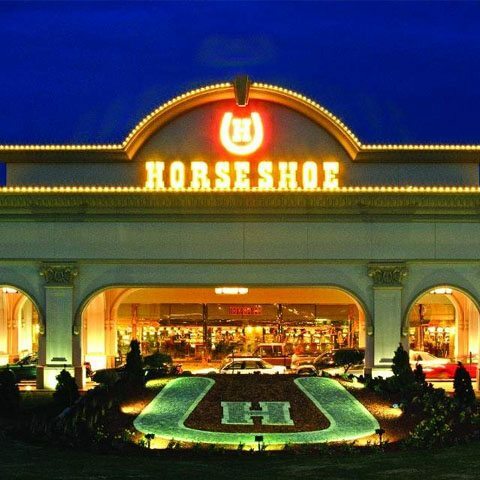 Over 54 table games await you at Horseshoe Council Bluffs.